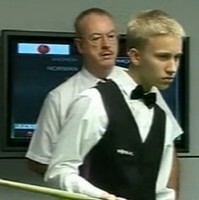 15-year-old Polish player Kacper Filipiak, who had an amazing performance on World Cup (beaten John Higgins) was whitewashed by Andrew Norman. Norman won it comfortably with 90 to move on to the next round. Another whitewash happened on Scott MacKenzie. MacKenzie was defeated 0-5 by Adam Wicheard, who is going to play Jimmy White in the next round. China's Tian Pengfei saw off Thailand's Dechawat Poomjaeng 5-3, despite Poomjaeng fought back 3-4 from 0-4 down with 76. Tian now plays his pal who also comes from China, Liu Song. Second all-Chinese crush is set in the next round too by Li Yan's 5-2 victory over Paul Davison with 73. Liu Chuang will be Li's next target to win over. 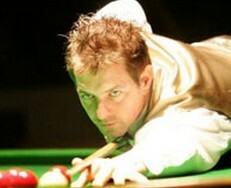 Australian Goldfields Open qualifier David Gilbert fell 3-5 to Ben Woollaston. Woollaston made 123 to lead 4-0 and 55 in the last frame to secure his win. Hope you'll get well soon, Bjorn! Belgian Bjorn Haneveer withdrew from Shanghai Masters Qualifying, (also PTC2, PTC3, PTC4) due to shoulder injury. His opponent David Hogan received a by again after Lucky Vatnani's in the previous pre-qualifying round. Only one match ended in decider yesterday, Asian U21 Champion Cao Yupeng dramatically won 5-4 from 1-3 down. Cao knocked 72 and 57 to level all square, eventually won the decider. World Championship Qualifier Andrew Pagett lost 3-5 to Finland's Robin Hull in the first round. Hull made 127, 64, 51 while Pagett made 71 throughout the match. It is a good start for Hull who comes back this season from retirement. Thailand Snooker Hero James Wattana cruised to the next round by an easy 5-1 win over Matthew Couch with 93.